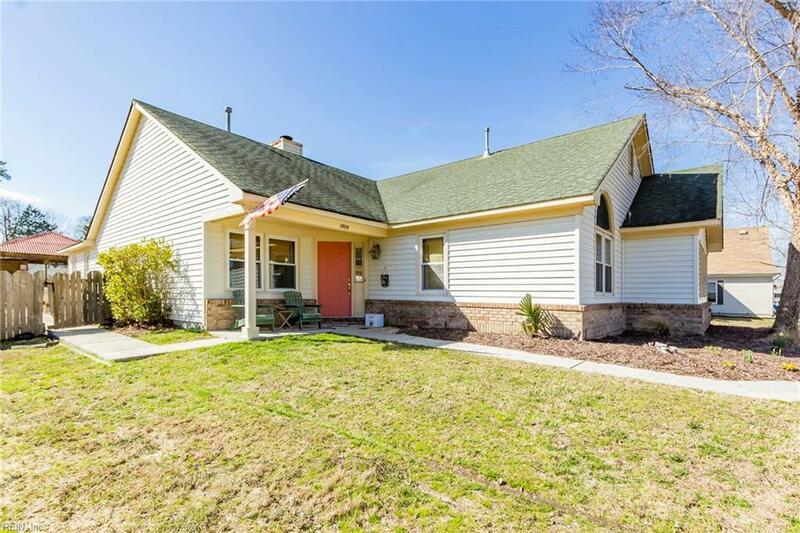 Spacious, original owner home in the desirable Landstown Meadows neighborhood of Virginia Beach and the Christopher Farms Elementary School district! 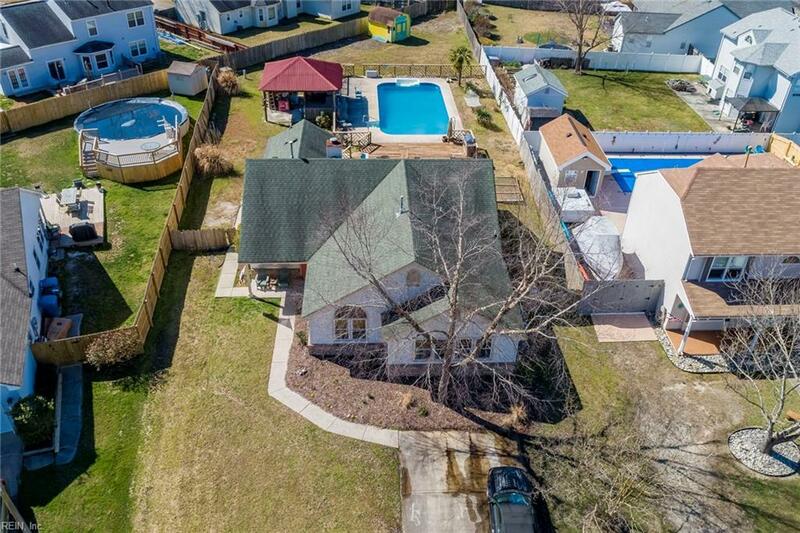 This sprawling contemporary ranch home sits on one of the largest lots (0.39 acres) in the neighborhood and at the back of a cul-de-sac with a quaint, kid friendly, public park right across the street. 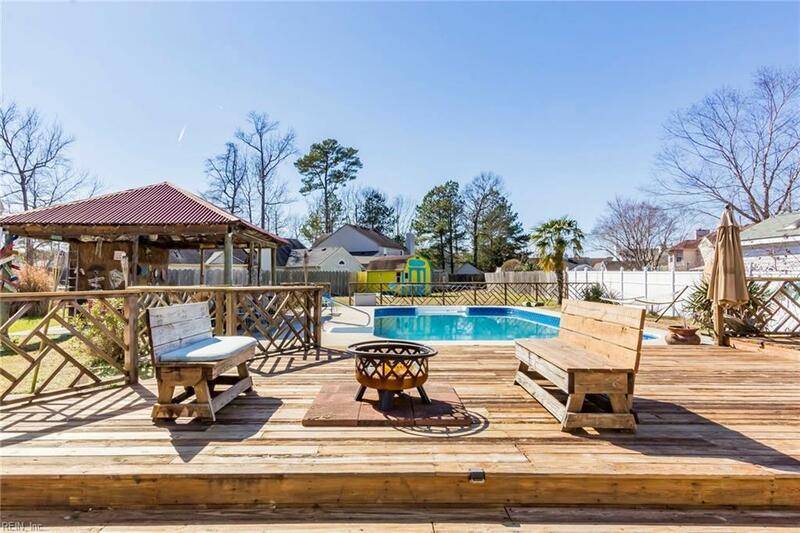 The fully fenced backyard encloses your own private resort; with a deck, a huge 20 x 40 saltwater in-ground pool, a 20 x 20 custom built TiKi Hut with plumbing and electrical; a bar and a gorgeous Mexican sink as well as a half bath built into the the back of the Tiki Hut. 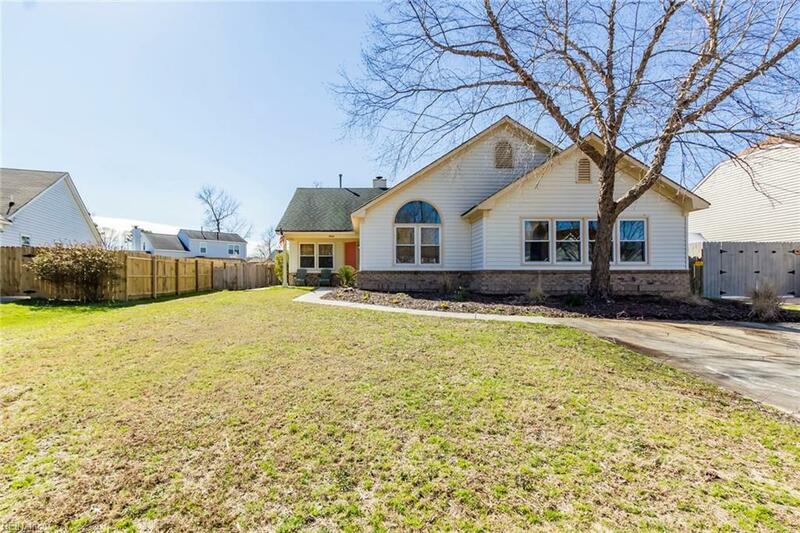 Inside, youll find trey ceilings, recessed lighting, a gas fireplace, breathtaking Brazilian Cherry Tigerwood flooring, a Florida room with sliding glass doors leading out to your private oasis. Also, enjoy your own private entrance from the deck to the master bedroom. A huge bonus room/game room; or can be converted into a 4th bedroom.